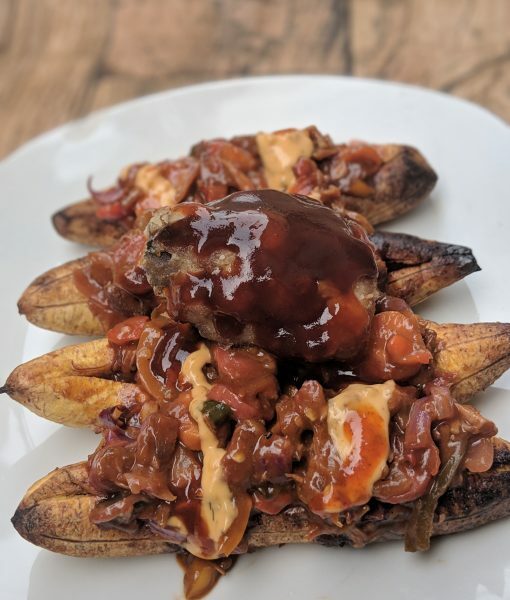 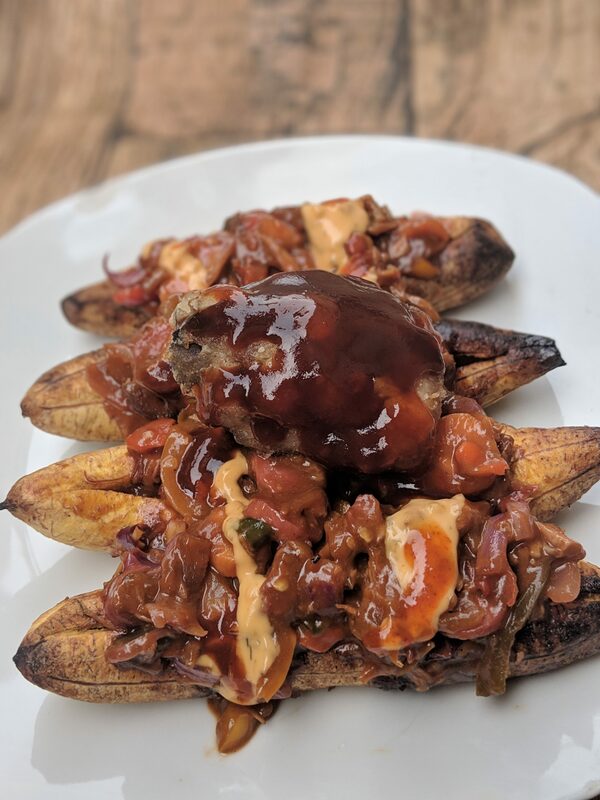 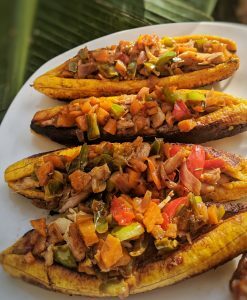 Roasted plantain filled with sauce and shredded chicken. 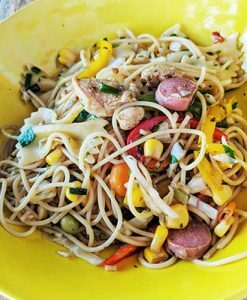 Contains vegetables, green pepper, salad cream, yellow pepper, red pepper, bbq sauce. 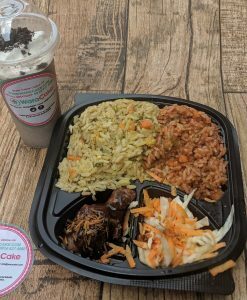 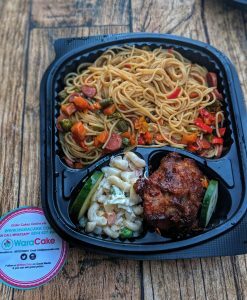 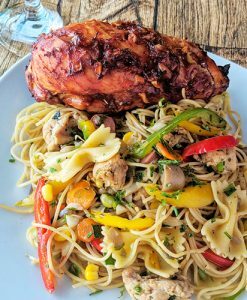 Delivery is restricted to Lagos only.